Friends, I was given the wrong e-mail address for the owner of the independent living facility in Virginia that is ordering residents not to feed a feral cat they’ve been caring for years, to destroy their gardens or make them uniform with every other garden, and to remove all bird feeders, even seedless hummingbird feeders. The correct address is jmoore@metroprop.org. My friend Cynthia Daniello, a blogger, writer and leader of the Joshua’s Dream Resistance in Bedford, Va., suggested I write a letter to Joseph Moore, who is the head of Metropolitan Properties, the owner of the facility, in Washington, North Carolina. She hopes others will do the same: jmoore@metroprop.org. Yesterday, I was asked to persuade her to drop her campaign to stop the banning of the individual gardens and the feeders, and I said I would only ask her to do that if the bans were temporarily halted in exchange for a real dialogue. So far, the management has refused to budge. The residents are more than willing to talk and negotiate, but the company’s idea of negotiation is to ram arbitrary and bureaucrat regulations down their throats with little warning. “As to the issue at Joseph’s Dream–your offer to compromise is appreciated. However; I believe the real issue behind the anger of the residents is the removal of the things which brought pleasure AND the freedom to express individuality. There is so little opportunity for the elderly person to still feel his/her opinion matters. Having someone else select the flowers they can plant defeats the purpose of doing something oneself–of expressing WHO one is. Such a small thing, and yet it represents so much. It’s a fine letter, sensible, honest and open. The company has not responded. One resident, a long-time hummingbird lover, threw her feeder into the garbage today. The “inspections” begin shortly. There will be three inspections a year, and if residents are cited for three or more “violations”, that is, if they feed a bird, or the feral cat Cynthia and others have been feeding and caring for at least two years, they could be subject to eviction. Please check out Cynthia’s new blog, My Never Ending Story. I have been working with the elderly for years are various facilities, and I have never heard of a hummingbird feeder being banned because it is “dirty.” A compassionate management would celebrate these initiatives, not knock them down or ban them. The address I gave was jmoore@metroprop.com, the correct address seems to be jmoore@metroprop.org. Letters to the latter address seem to be going through. “The inspections” of the 50 residences on the property are scheduled to begin this week, and some of the residents – terrified of being forced out of their homes if they fail to comply – are already tearing up their much-loved gardens, and taking down the bird feeders they have had for years. The residence management seems to determined to bully its way through these cruel and oppressive regulations foisted on people who are vulnerable and afraid. Most are afraid to speak out. Cynthia is not afraid of anything that I know of. If you are so inclined, please feel free to email Mr. Joseph Moore, jmoore@metroprop.org. This is not fair or compassionate. No one at the residence is known to have ever been harmed by a small garden or a bird feeder. 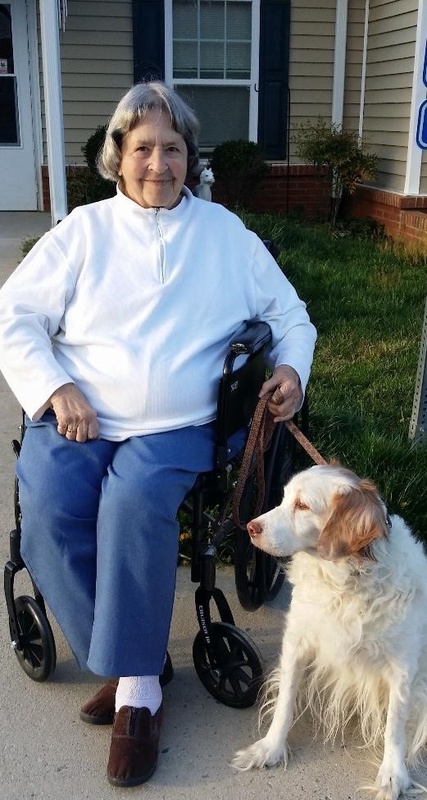 Living things to watch and care for are essential to the elderly, who have lost most of the living things in their lives, from spouses to friends to pets. They should not subject to additional loss from the people they depend on for safety and security. I know the word” story” probably makes more sense, but “song” is what I wrote. I sent this email and it was returned twice, once with the typo in the address (..memtroprop) and once with the correct address. Your soul-withering edict banning gardens and bird feeders from your facility is an asinine affront to the dignity and comfort of the residents of Joseph’s Dream, a biblical name I can only conclude is used ironically. What can possibly be the point in denying low-income residents (or any residents, for that matter) a bit of creative independence and pleasure? If there is justice in this world, you will find yourself old and poor and living in a bland institution larded with rules designed to wring every last drop of comfort and pleasure from your waning years. I also used that one and it was returned. They are apparently not interested in improving the quality of their residents’ lives. I am grateful that I am able to live independently.